Hard corner of 395th Avenue & Indian School Road. Excellent investment located in direct path of future growth. 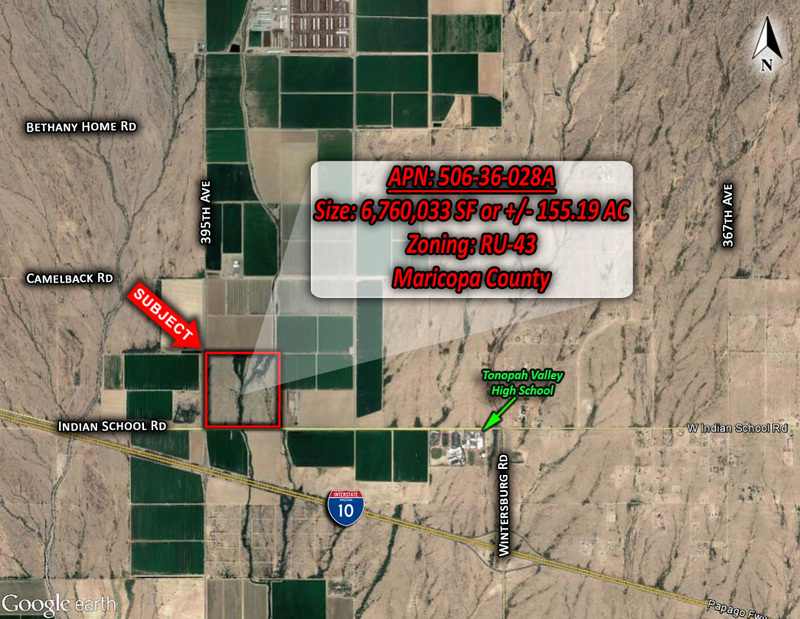 Over a mile of paved frontage on 395th & Indian School with power to the property along both streets. Power along two sides of property.